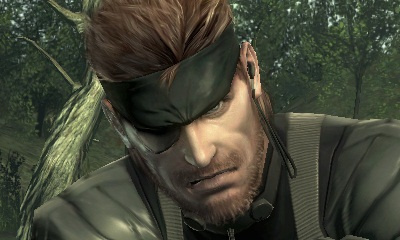 Want to try out Metal Gear Solid: Snake Eater 3D before its European launch? Head to the eShop this week for a trial downloadable demo. The demo lands on Thursday as part of the regular eShop update alongside an old Game Boy favourite. We'll have the full Nintendo Download for you in a few minutes, but in the meantime, are you excited about playing with Snake? Awesome! I hope its better than the crush3d demo which was pants! Yeah, three easy stages, boring! I like the look of the Monster Hunter 3G demo. I like the crush3d demo. Looking forward to this one, really enjoying the constant stream of demos, keep it up nintendo! Really hope they are going to bring the Rayman Origins demo to Europe! Completely undecided on whether to buy this or not so I can't wait to give it a test. Yes this is awesome news, cant wait! Is the demo coming out for North America too or is it only for Europe? Can't wait to see if they improved on the demo. I've been reading alot of impressions on the Jap demo having noticeable frame rate issues and I just hope that this is not the case. Also hoping for a demo release in NoA territory. Can't wait to try out the demo. So now Europe has 2 demos more than America? Nice. I'm gonna download it. Great! Not sure about this one, so hopefully this demo will make up my mind weather or not to buy it. @kyoto I think that it will be similar because the control layout was almost like it was made for nintendo. It took me forever to figure out that O was the action button and X was cancel. I personally had fun with this game, it was the first Metal Gear that I played. This news just made my Monday. Everyone should get this game. I really hope the demo comes to NA sometime soon, as I'm debating if I should buy this or not. Waiting for it for NA. Metal Gear Solid 3 is undoubtedly the best Metal Gear game ever made. 4 was a disaster, a disaster with admittingly amazing graphics, but the game was short, and to explain EVERYTHING via "nanomachines" and say nothing supernatural ever existed and it was all technology, when supernatural incidents and powers have been a staple of the series, was stupid. As well as the overall story of the game. America! And the Circle Pad Pro rules...I hope the demo supports it like RE: Revelations. Raid Mode's a blast! Please give NA a Rayman Origins or MGS3 demo! Dont worry, its coming out in NA on the same day (tommorow ).